This entry was posted on Saturday, March 7th, 2015 at 3:46 pm and is filed under Television. 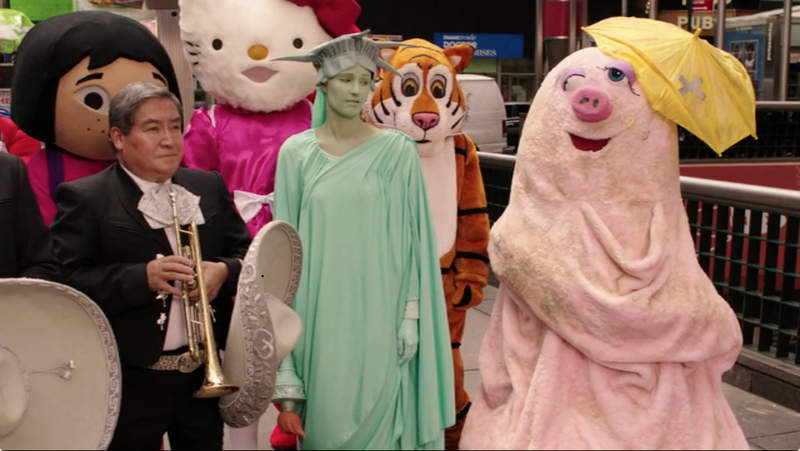 Tagged: Costumes, Miss Piggy, Nightmares, NYC, Times Square, Tina Fey, Unbreakable Kimmy Schmidt. You can feed this entry. You can leave a response, or trackback from your own site.